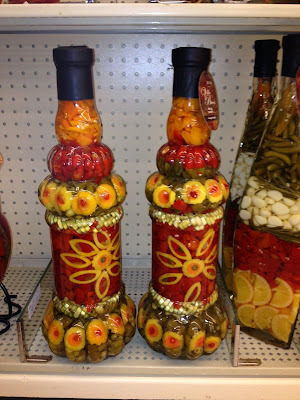 While shopping around at Hobby Lobby I found these vinegar bottles very interesting to look at. The colors are vibrant which makes great décor in your kitchen. Since I like vinegar I am planning to buy one of these bottles filled with fruits and vegetables. 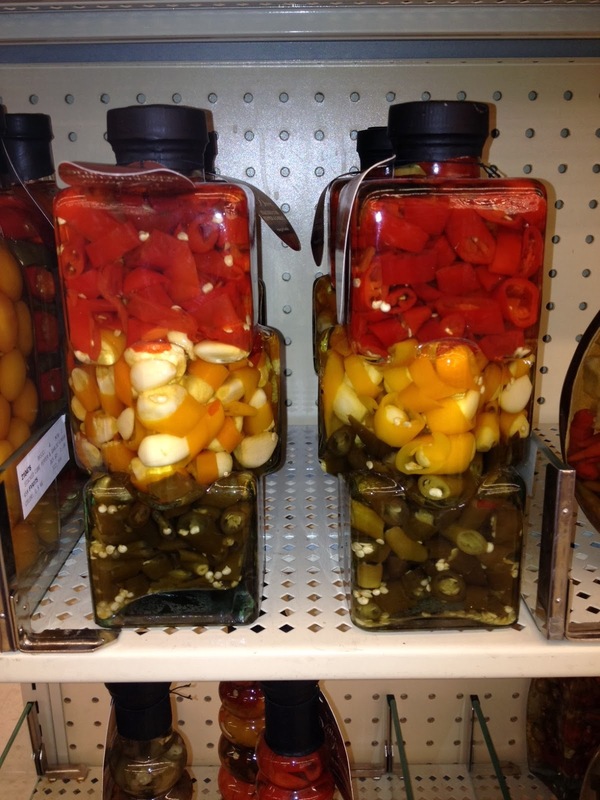 The longer you keep the vinegar the better it taste especially when infused flavors like fruits and vegetables. But as you can see these are only for decorative purposes. 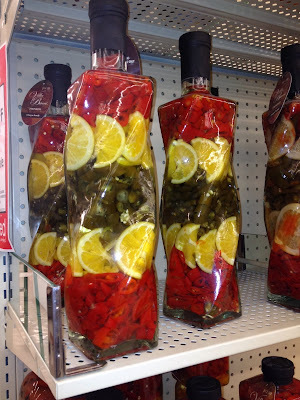 And I amazed how they put the fruits and vegetables inside these sassy bottles.